It’s only somewhat about the Benjamins. House Republicans don’t have a policy agenda that they’re planning to wield to win back the House from Nancy Pelosi and the Democrats, but they do have a new favored wedge issue: Israel. Republicans, led by Rep. Kevin McCarthy, are accusing two new Muslim members of Congress, who’ve made strident criticisms of Israel, of anti-Semitism. 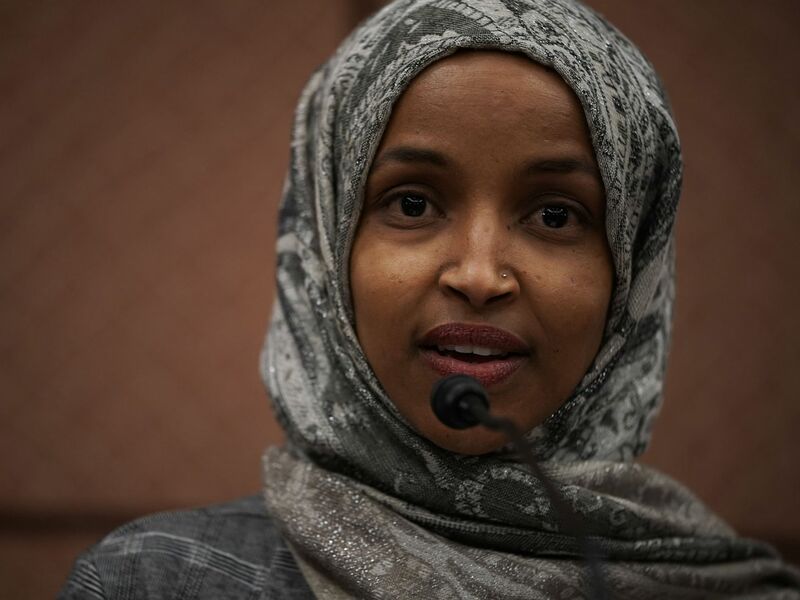 The specifics of the controversy of the moment (“Omar ignites new anti-Semitism controversy with comments on AIPAC,” according to Politico) relate to some moderately ill-advised tweets Rep. Ilhan Omar (D-MN) fired off Sunday night. But the tweets themselves only arose in the larger context of what was already a push from Republican leaders to label Omar and Rep. Rashida Tlaib (D-MI) as anti-Semitic over their views on Israel policy. That’s not a novel tactic to anyone familiar with the discourse around this subject, but it’s taken on a new urgency in the current Congress for two parallel reasons. First, under the leadership of Benjamin Netanyahu, the government of Israel has become increasingly comfortable with the concept of Israel being used as a partisan wedge issue — something Israeli leaders traditionally felt would undermine Israel’s political support in the United States. Second, as part of a larger resurgence of left-wing politics in the United States, a minority of Democrats are becoming increasingly comfortable with overt hostility to the Israeli government — and at least some establishment Democrats, stung by Netanyahu’s conduct during President Obama’s eight years in office, are prepared to back them. Omar, in turn, apologized for the phrasing of her tweet while standing behind the substantive criticism of AIPAC’s policy agenda. Meanwhile, the pro-Israel establishment in the American Jewish community remains determined to flex considerable financial muscle in favor of its preferred policy approach while simultaneously accusing those like Omar who draw attention to this fact of trafficking in anti-Semitic stereotypes. 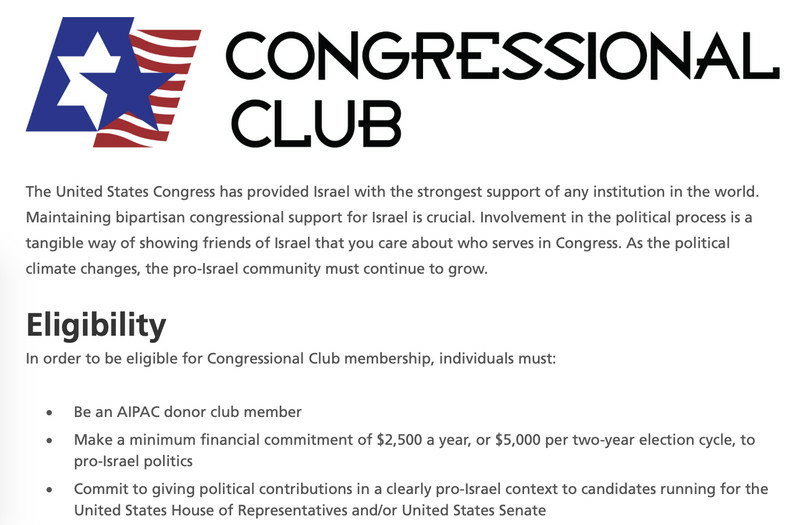 Offered an opportunity to clarify by Batya Ungar-Sargon, the opinion editor for the Forward, Omar instead upped the ante to say clearly that she believes the American Israel Public Affairs Committee is paying American politicians to be pro-Israel. This is a sensitive subject for Jewish Americans with a wide range of views about Israel and US foreign policy, and by responding in this way to McCarthy’s provocations, Omar essentially gave McCarthy the pretext he’d previously lacked to analogize her to King. Omar’s fellow first-term Democrat Rep. Max Rose (D-NY) swiftly slammed her remarks as “deeply hurtful to Jews,” TPM’s Josh Marshall deemed it a “very unfortunate tweet,” and even Chelsea Clinton joined the pile-on, which prompted a whole other series of counterattacks. Lest you think any of this is happening in good faith, recall that McCarthy himself in October was accusing three Jewish Democrats of trying to “buy” the 2018 midterms. Nonetheless, whether or not one takes McCarthy’s complaints seriously, he has correctly identified a potentially explosive issue that is very well-calibrated to the specific goal of getting Democrats to fight with each other about a topic most Americans probably don’t care very much about. The notion that congressional support for Israel is literally all about the Benjamins is clearly false, and Omar could have saved herself some grief by acknowledging as much in response to Ungar-Sargon’s initial inquiry. There are, pretty obviously, major questions of ethnic and religious identity in play — not just among American Jews but also with the incredible influence of Christian Zionism in American politics and, conversely, the not-coincidental reality that Omar and Tlaib, who are both Muslim, have strong feelings on this topic. Beyond its involvement in encouraging campaign contributions, AIPAC also spends a lot of money on lobbying. The $3.5 million AIPAC spent lobbying in 2018 is trivial compared to what business groups spend (the National Association of Realtors took the cake with $543 million in spending and mostly lost the argument over the home mortgage tax deduction anyway), but very large relative to the world of foreign policy. The No. 2 foreign policy donor, UNICEF USA, spent just $744,000, and its activities are orthogonal to AIPAC’s interests anyway. The next-largest group lobbying on Israel, J Street, which advocates a pro-Israel, pro-peace agenda, spent less than 10 percent of AIPAC’s lobbying budget. It actually got outspent by a second, smaller hawkish Israel policy group, the Israeli-American Coalition for Action. Last but by no means least, AIPAC spends on less formal means of influence-peddling. Their annual trips to Israel for members of Congress are perennially the most popular form of foreign congressional travel, in no small part because the accommodations are rather lavish. As Rachael Bade and Amanda Becker have reported, AIPAC spends around $10,000 per guest on business-class airfare and luxury accommodations. Members are allowed to bring spouses and other family guests on the trips, and members frequently go multiple times. Comparable junkets for journalists are also available. To view this as the primary driver of a foreign policy relationship that has roots in Cold War strategy and substantial links to evangelical eschatology is mistaken. But there’s also something a little willfully naive about the counter-assertion that money is irrelevant. Haim Saban, a major Democratic Party donor, for example, has in the past described himself as “a one-issue guy, and my issue is Israel.” That gives many rank-and-file Democrats who don’t particularly care about foreign policy (a good description of most members of Congress) good reason to adopt a pro-Israel line and enjoy the benefits rather than rocking the boat. The larger context for this controversy, however, is not the strength of the pro-Israel lobby but its weakness. The concurrent administrations of Obama in the United States and Netanyahu in Israel led to a serious deterioration of the relationship between Democrats and pro-Israel organizations. On a policy level, that was largely about Iran, where Israel stridently opposed Obama’s nuclear deal but congressional Democrats mostly chose partisanship and ideology over AIPAC’s preferences. On a political level, that was about Netanyahu’s eagerness to break with precedent and allow Israel to be used as a partisan wedge issue — all but openly campaigning on behalf of Mitt Romney and John Boehner against Obama and congressional Democrats — even while aware that this risked a backlash from Democrats in Congress. In the Trump era, the United States has tilted further than ever in a pro-Israel direction (moving the US Embassy to Jerusalem even without a diplomatic agreement with the Palestinians about the status of the city), while Democrats have grown stronger in their criticisms of anti-Iranian activities by Saudi Arabia and the UAE that Israel supports. Bernie Sanders has played a leading role in much of this, continuing a trajectory of shattering taboos that he launched during his 2016 campaign. But Sanders, who is Jewish, and whose policy team includes seasoned professionals with years of experience on the issue, manages to make his points in a thoughtful, politically effective way. Omar’s social media strategy, by contrast, is a gift to congressional Republicans who are eager to promote Democratic infighting. And there is now infighting aplenty, with other Democrats rushing to distance themselves from Omar while more left-wing writers and activists emphasize their agreement with the basic point that pro-Israel money matters. The fundamental reality, however, is that this is an inherently difficult topic for Democrats. A large majority of Americans say they sympathize more with the Israeli side than the Palestinian side in the conflict, but rank-and-file Democrats are split roughly 50-50. That means that in order to be effective, people who want to challenge the pro-Israel consensus in politics need to be careful and strategic with their interventions — the opposite of tossing off inflammatory tweets on a Sunday evening with no strategy lined up.